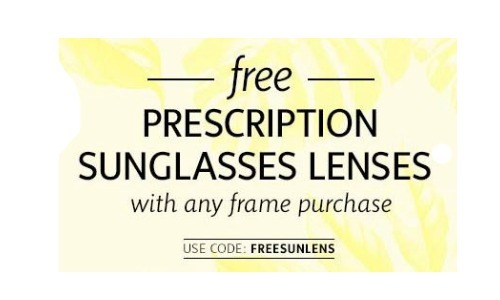 Get FREE prescription sunglasses lenses when you use the coupon code FREESUNLENS on Coastal.com (a $69 value)! All you have to do is make a frame purchase, enter your code at checkout, and you’ll get FREE lens to go with your new frames! They have some really nice designer frames and for a limited time you can get them for as low as $49. Please note that this lens offer only includes Single Version Thin Air lens. You’ll also get FREE shipping.